A’s birthday is on Tuesday, but we did some early celebrating this weekend. While I’d be happiest buying some delicious Trophy Cupcakes, I know that Lila really enjoys helping to bake and decorate, especially for birthdays. 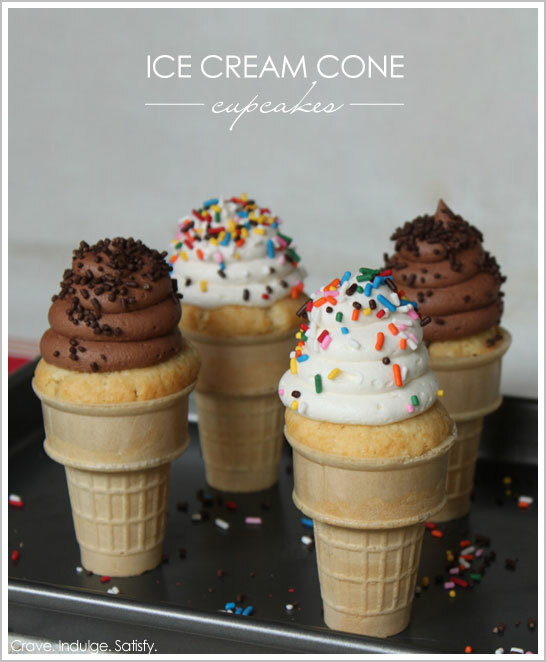 I went to the store to grab some cake and frosting and had the bright idea that making ice cream cone cupcakes would be fun. Easy for the girls to eat, super cute to look at. Yes, I am crafty and handy in the kitchen, this is a brilliant idea. Bwahaha! This is totally what would happen to me if I tried. My husband was kind enough to appreciate the effort! I think it great that you persevered and continuedon with the frosting and sprinkles. Frosting and sprinkles make everything better.